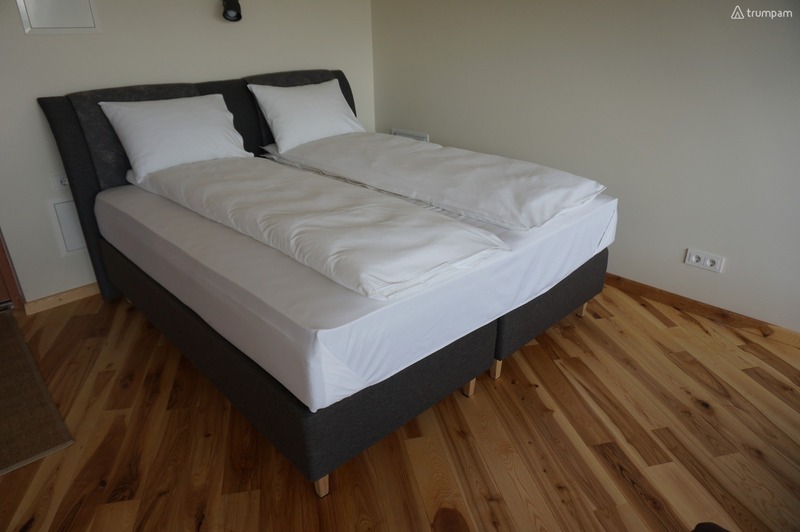 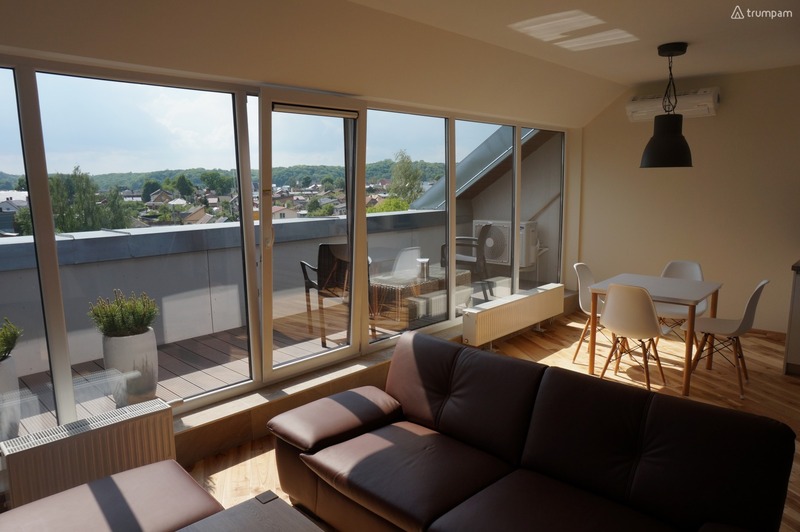 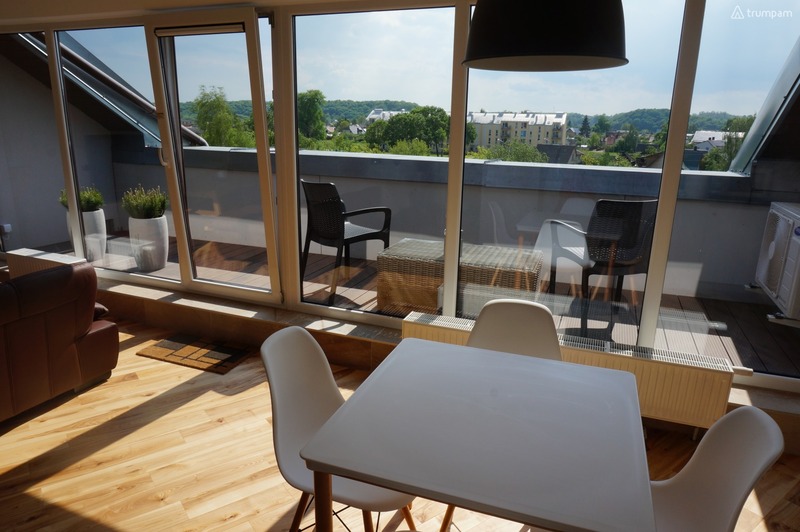 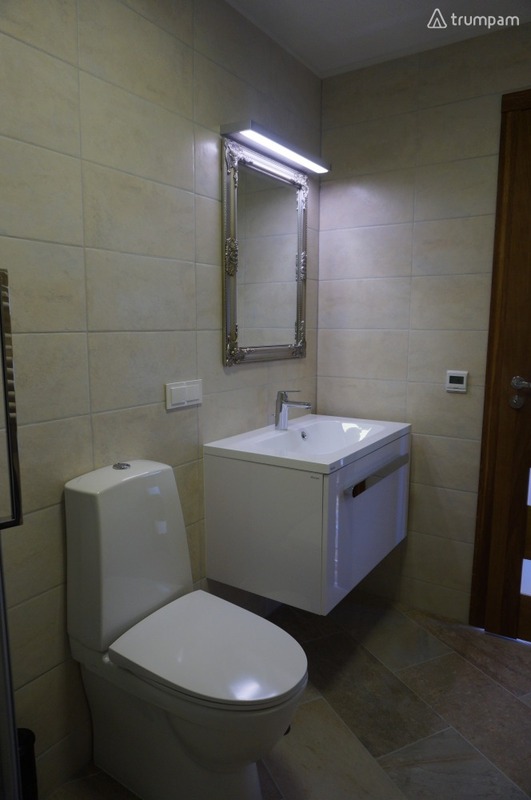 This is a brand new, with Napoleon Hill view studio apartment, located very close to the center of Kaunas. 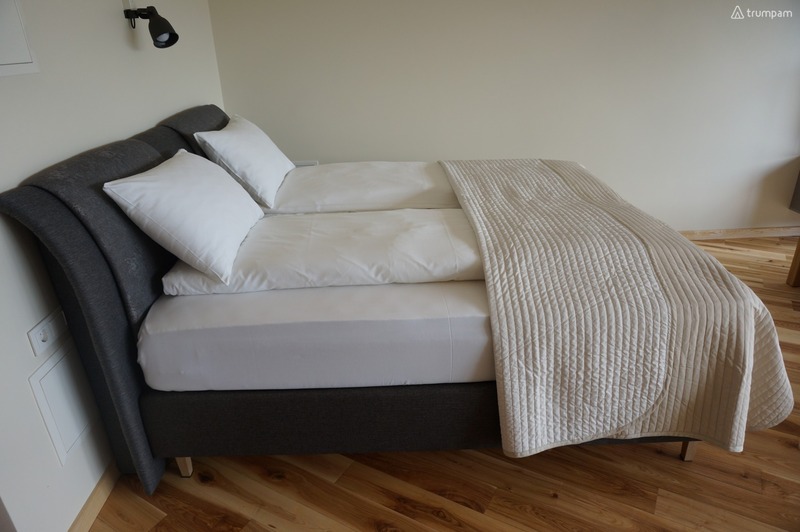 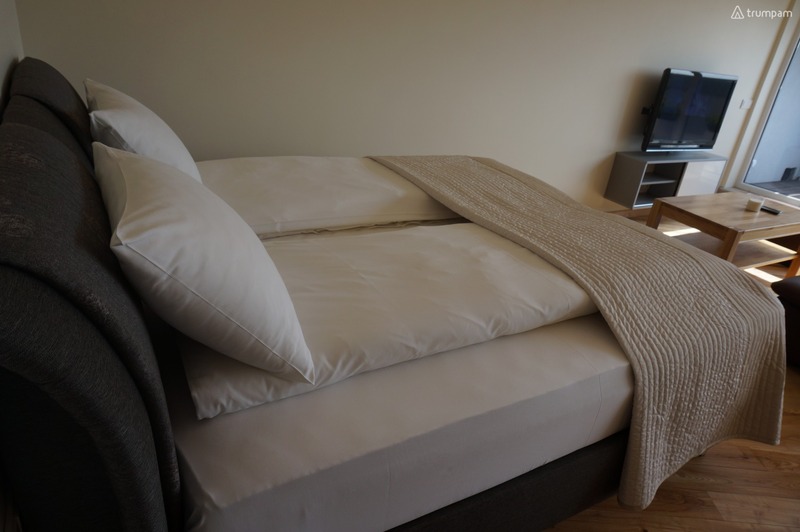 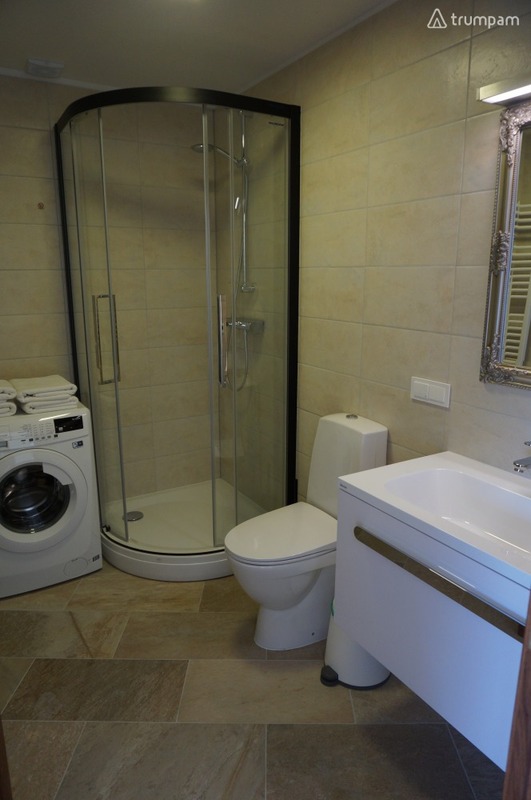 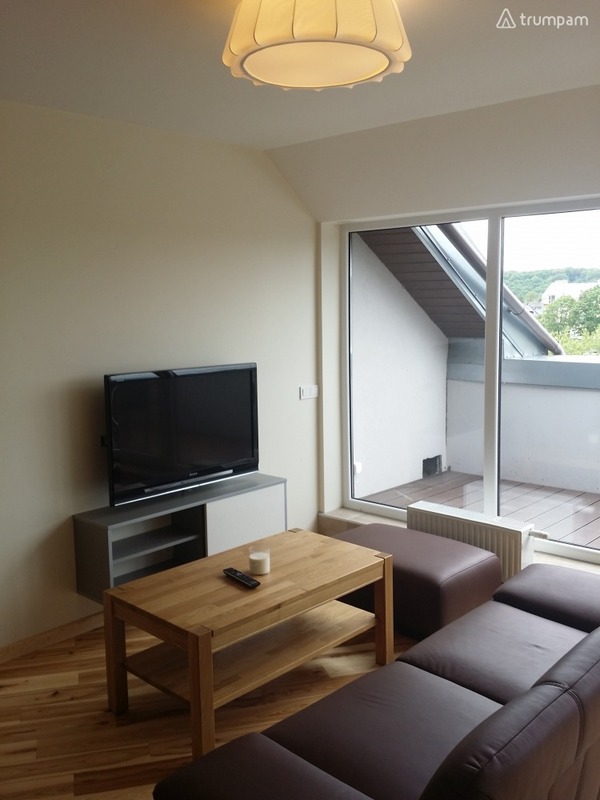 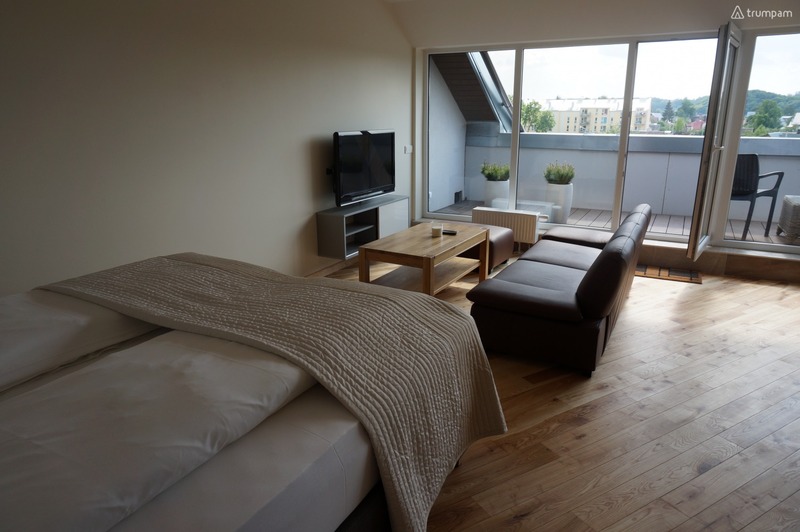 The studio contains one double bed and sofa/bed, spacious bathroom, and a wonderful balcony. 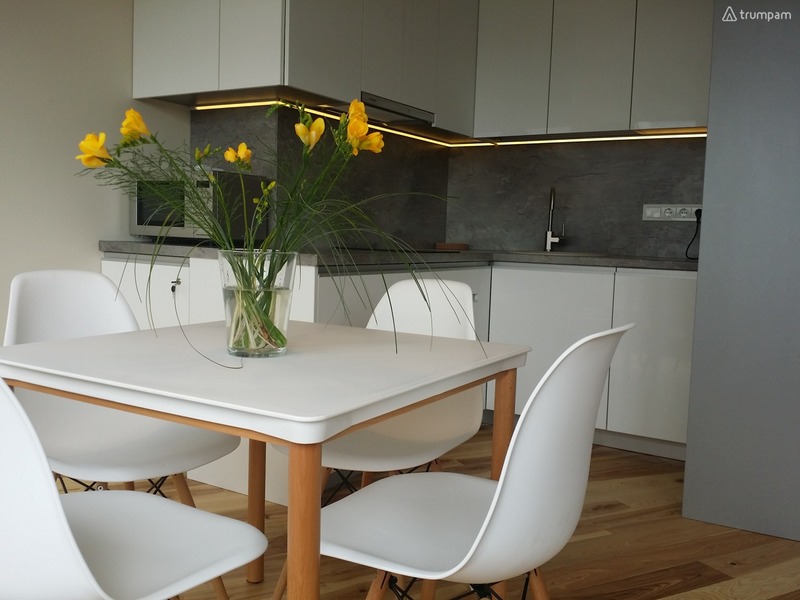 The apartment is equipped in a modern style in accordance with the requirements for the convenience and comfort of tourists. 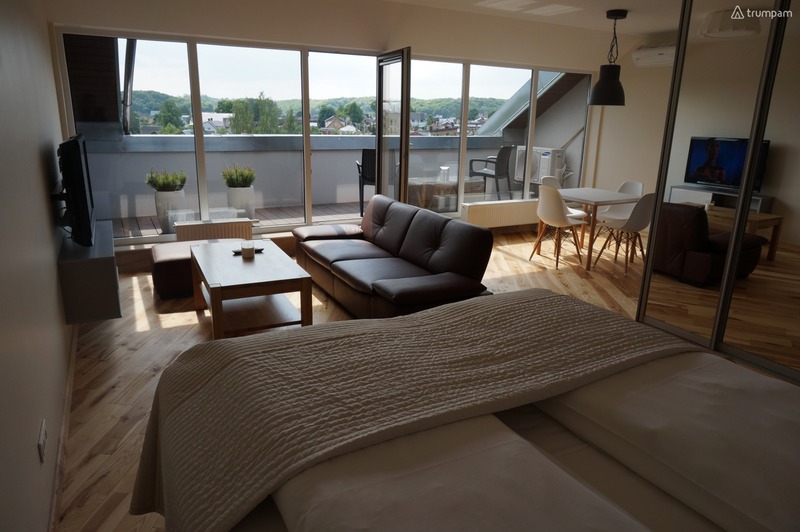 It features a fully equipped kitchen (microwave, electric stove, dishwasher), air conditioning, cable TV, washing machine, refrigerator, electric kettle, dishes, pots, pans, dishes, hair dryer, iron, ironing board, hangers and such essentials as towels, sheets, soap and shampoo. 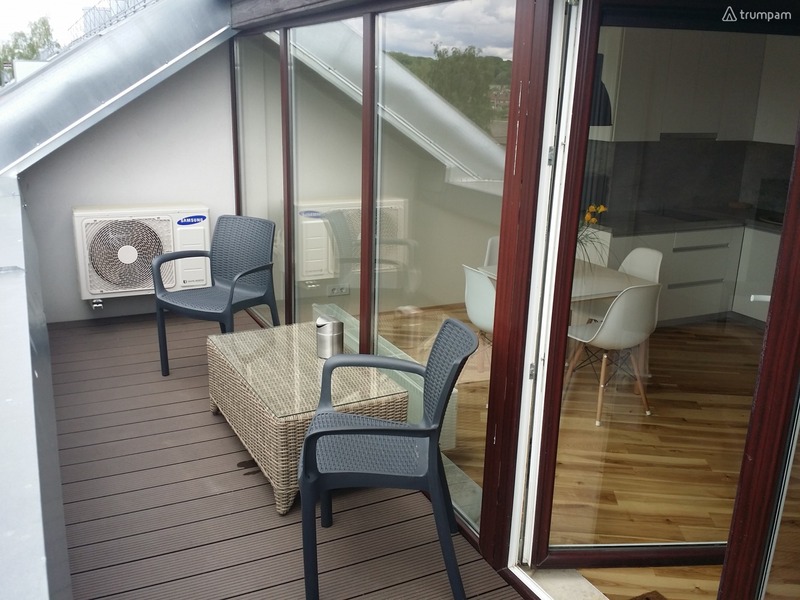 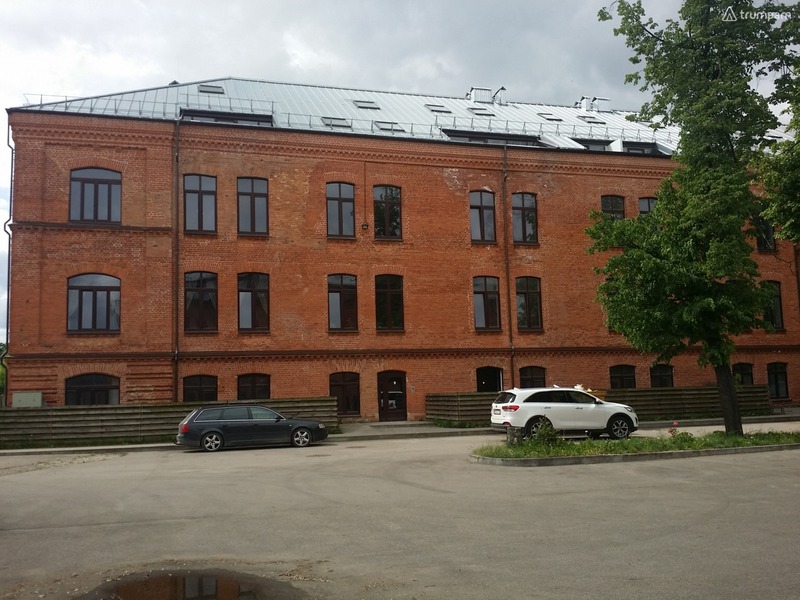 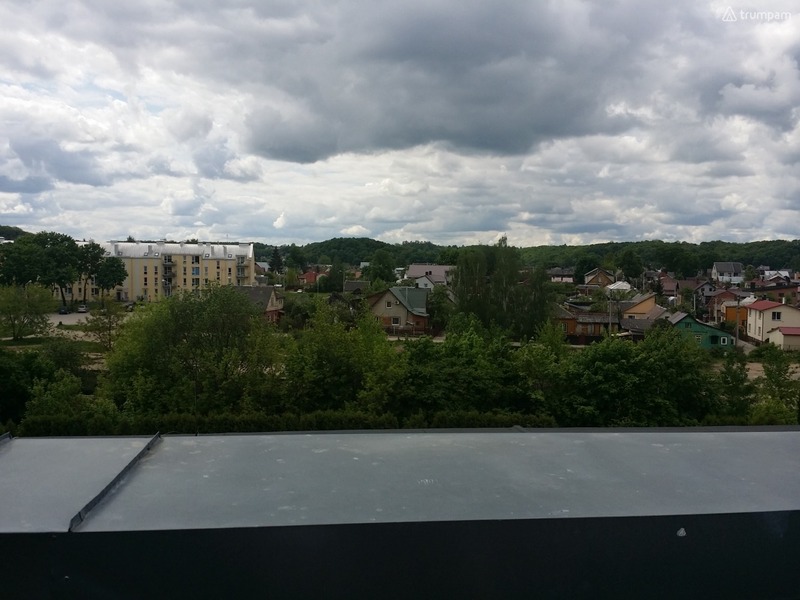 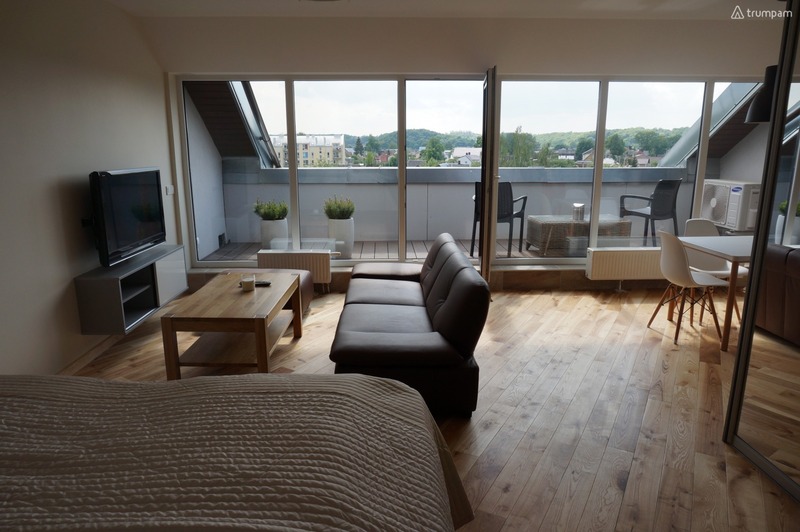 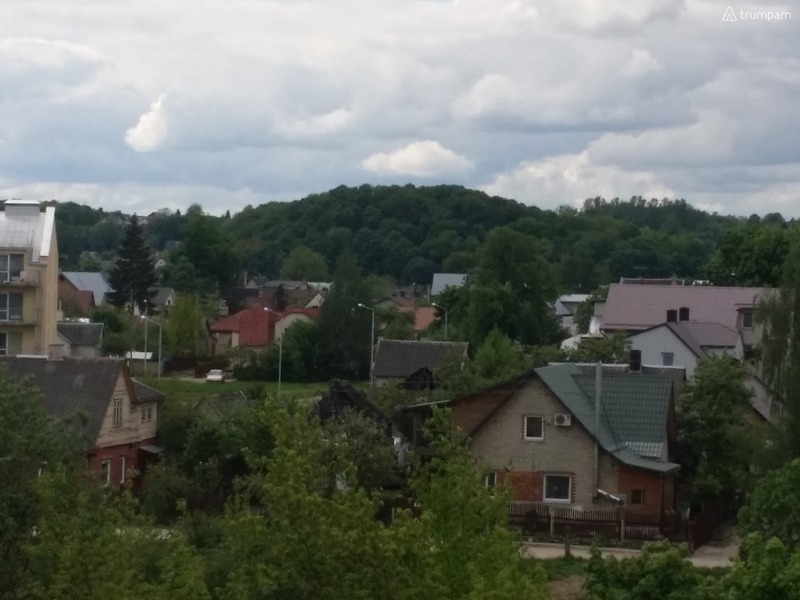 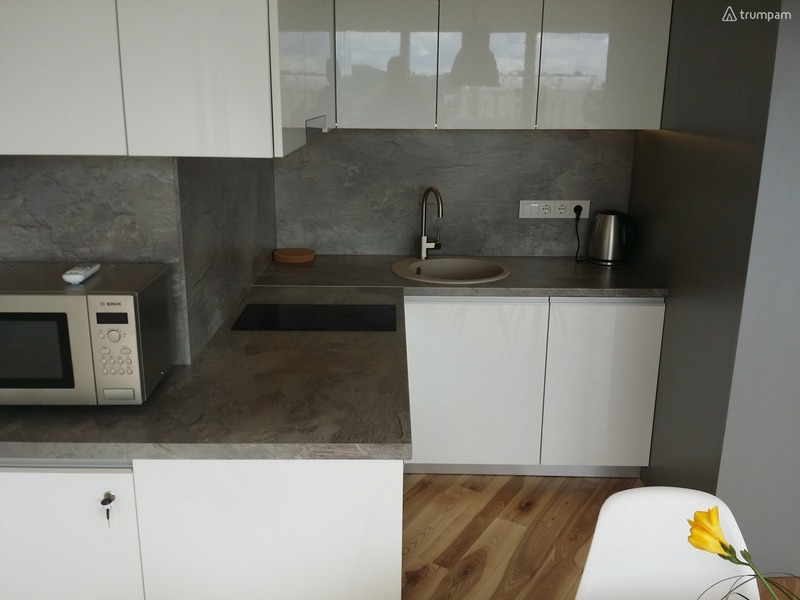 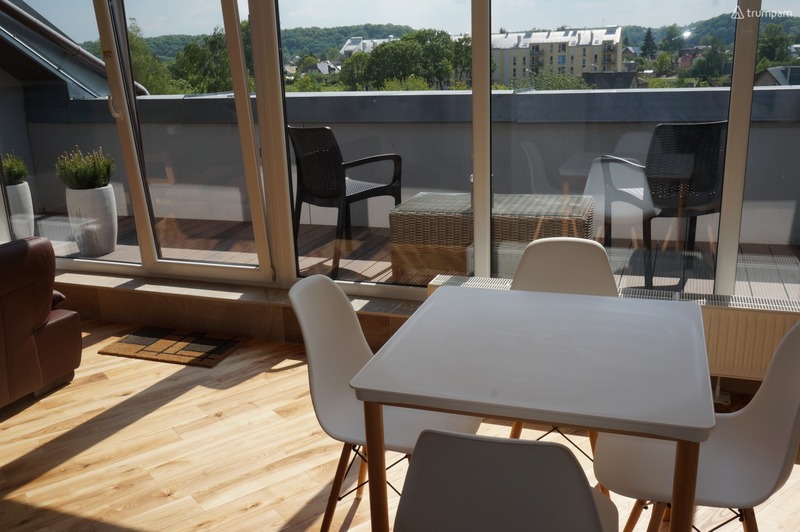 The apartment is located in a newly built house, near the Kaunas railway and bus stations, Zalgiris Arena and the Akropolis shopping center.